The Runes are pictographic representations of the fundamental building blocks of all phenomena. When I cast Runes in a reading, I invoke The Norns (those who weave the web of Wyrd) and I am able to perceive the elements at play in any given situation. In this way, I am able to intuit and divine both past and present circumstances as well as give counsel on future action. 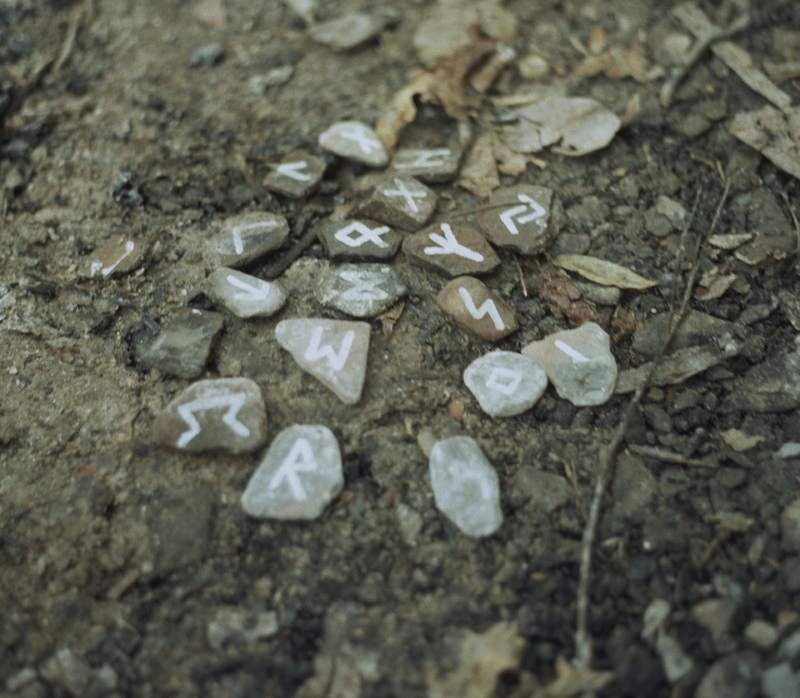 I have over two decades experience working with the Elder Futhark, and the Runes allow me to consciously connect to elements of my intuitive mind that are otherwise inaccessible during everyday life. As a long-term student of Western Hermeticism, I have developed over a decade of practical experience divining along Qabbalistic lines utilizing the Tarot. The Tarot is more suited to working with Archetypal rather than Elemental forms of consciousness. Please direct your question to vitkiarts@gmail.com and allow 24 hours for a response. My experience in both Norse and American folk magic has lead me to serve hundreds of clients who lack the resources to perform rites using their own dedicated altars. I have access to a number of beautiful Altar spaces, both in my dedicated home temple, and in the sacred space at Catland. I offer Deity petition work, and the lighting of custom carved, dressed and blessed candles. My experience as a ritualist has enabled me to perform myriad ceremonies for varied purposes. My services have been rendered by a diverse clientele; ranging from magicians and hermetic organizations to small businesses, film production companies, and private individuals looking to enhance their lives through ritual. I am available to develop custom ritual work, or to consult or instruct individuals in the creation and development of their own rituals. I offer a confident background in a plurality of modalities, and am able to work comfortably within your particular paradigm. Performance of House Blessings and In-Person Rituals are restricted to the greater New York Area unless suitable transport can be arranged. Contact vitkiarts@gmail.com to inquire about additional services. For legal purposes under New York State Law, it is understood that all readings, services, and curios are provided for the purposes of entertainment only.